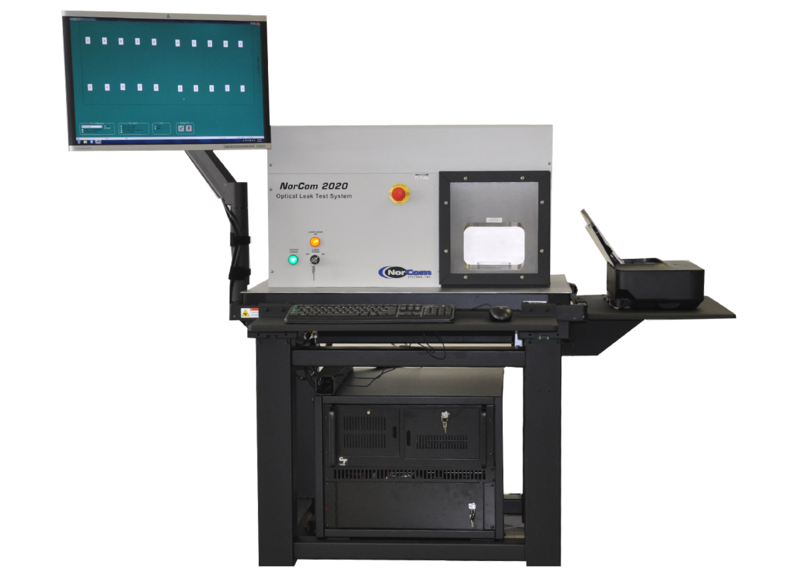 The NorCom 2020 provides automated in line, full matrix leak testing of hermetically sealed microelectronic and optoelectronic devices. It eliminates the need for helium mass spectroscopy and gross leak bubble testing by utilizing a patented laser interferometer to simultaneously measure gross and fine leaks in hermetic devices. Since the reliability of hermetic electronic packages is dependent on the detection of gross and fine leaks, the NorCom 2020’s pinpoint accuracy, repeatability and increased production throughput make the system an essential requirement for hermetic device production. 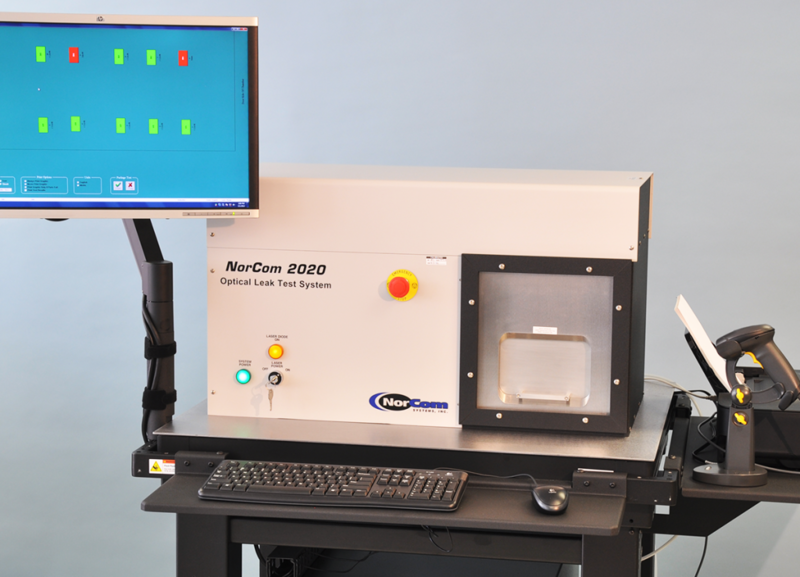 The NorCom 2020 provides quantitative leak test results in the industry standard of cc-atm/second helium. The system is ideal for optoelectronic, semiconductor and PC board-mounted devices for military, aerospace and telecommunication applications. The NorCom 2020 is manufactured under US Patent number 5,307,139, foreign and other patents pending. Copyright 2015-2019 NorCom Systems Inc.